We hope that you will find the eBook helpful and that you will discover useful information and valuable guidance on how to manage online reputation. 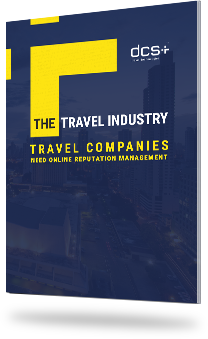 While online reputation management is important for every company and organization – even public figures and celebrities - it has become particularly important for travel companies and the travel industry in general because the impact of online reviews is significant and growing stronger. The online buying outcome goes to the heart of reputation management: online reviews became very important after price points were reached; the potential invested time and thought into a review evaluation and small details were used as clues or insights into what the travel experience would be.